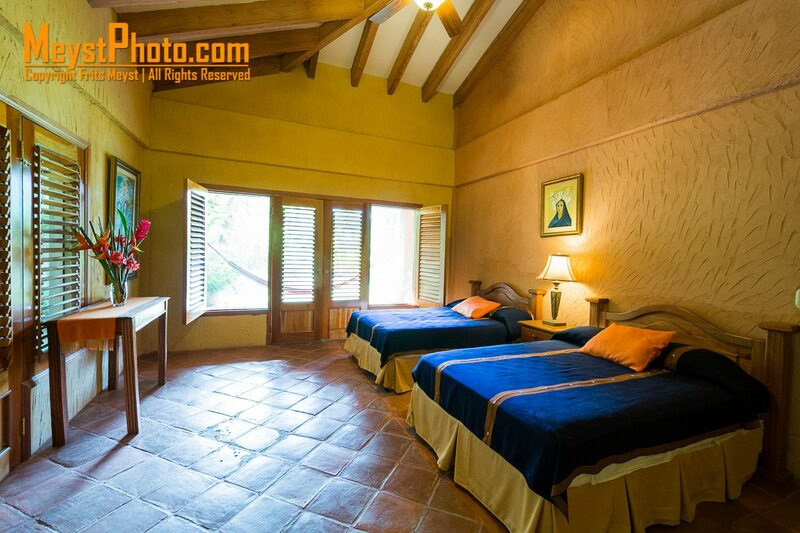 Are you looking for Reasons to Book at La Villa de Soledad B&B? We are a small boutique bed and breakfast. With only four rooms, they can fill up fast! This is one of the top reasons to book at La Villa de Soledad B&B when you make up your mind to travel to the Cangrejal River. We can fill up fast! The fact that we are small means that we are exclusive! You will not run into many people during your stay. As a general rule, our boutique eco lodge attracts a refined crowd. You will meet interesting educated people from around the world, and you will enjoy their company. Location We Are Easy to Get To! Our location might seem remote, but we are easy to get to! This means that you won’t spend lots of time trying to get to your hotel room. We are happy to provide meet and greet and transfer service from La Ceiba to La Villa de Soledad. Arriving by bus to La Ceiba? We will meet you at the bus terminal! If you are arriving by ferry from the Bay Islands, we will do the same! Arriving at the La Ceiba Airport? We will be happy to meet you and transfer you from there. If you are staying three or more nights, we will provide these transfers on a complimentary basis! Otherwise, we charge you a service charge of $20 US each way for your party of one to four persons. Regardless of where we pick you up, you will enjoy the 30 to 40 minute transfer to our beautiful Spanish Hacienda Style Inn. Once at La Villa de Soledad, you will be surprised at the variety of activities that are available here. Best of all, many are within walking distance from your hotel room! Hiking across the swing bridge into Pico Bonito National Park is just a five minute walk from your room. 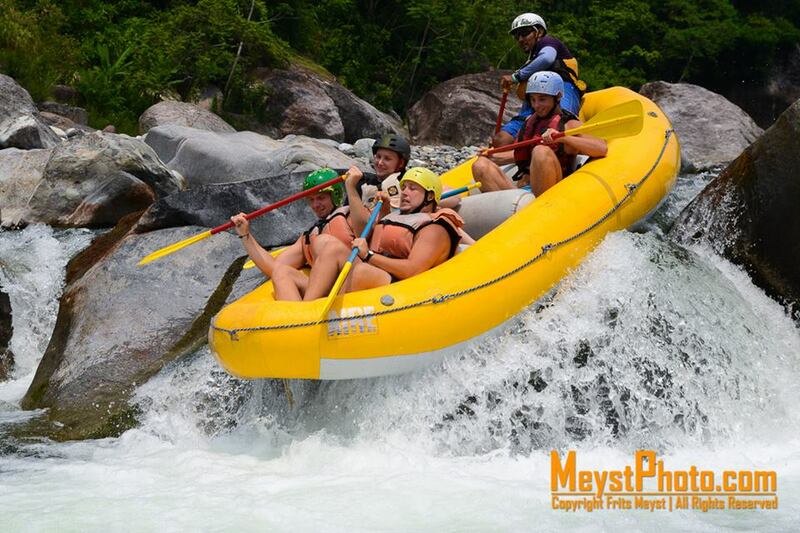 The put in for World Class white water rafting in the Cangrejal River is a short fifteen minute walk. A zip line canopy tour at Jungle River is also within 15 minutes walking! Best of all, the swimming in the river is awesome! Simply put, there are so many things to do in La Ceiba that you need to plan on spending several nights here! If you are into bird watching, then this should be one of the reasons to book at La Villa de Soledad! Enjoy great birding from the comfort of our open lounge. Heck you can even do bird watching while you lay in a hammock! Take a hike out on our trails and see how many different birds you spot! The amateur birders will go nuts with the many keeled billed toucans around out lodge! This is one of the top eco lodges in Honduras. 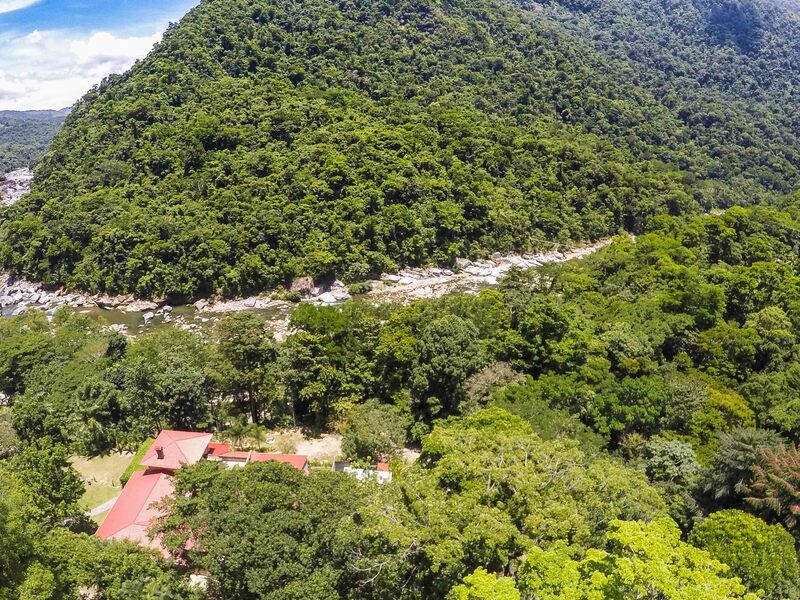 At night you will be lulled to sleep by the murmur of the Cangrejal River as it races towards the Caribbean Coast of Honduras. Early in the morning, the chatter of birds will me music to your ears! There is nothing like waking up in a comfortable bed in a beautiful natural setting! We are a bed and breakfast, and we strive to serve you a memorable breakfast to help you start your day well! The aroma of fresh brewed gourmet Honduran coffee will help you jump start your day. Fresh tropical fruits, many from our gardens are a main ingredient in all our breakfasts. Eggs and toast are also part of your breakfast. This is certainly one of the best deals in La Ceiba! Although we do not actually have a restaurant, our guests rave about Soledad’s cooking. Soledad, your host (my wife) is a lovely Honduran lady who is always happy. She loves to have guests rave about her cooking. You will be hard pressed to find better home cooked meals elsewhere in Honduras! She only cooks for her guests and family. This is not a service that is available for walk-ins. So you will love to taste her meals! Many say that this is the best food in La Ceiba! But perhaps you would like to have lunch or dinner elsewhere. There are two different restaurants within walking distance that you will enjoy. Last, but not least, John, your hosts (me) is bilingual and bi cultural. You will find that I can join your conversation on just about any topic. I am knowledgeable about travel through Honduras and Central America. Besides being an Innkeeper at La Villa de Soledad, I am the editor of Hondurastravel.com. This is an online travel guide and blog about Honduras. I can provide great tips about every destination in Honduras. I also have a travel guide and blog about Nicaragua called Nicatips.com. There are many reasons to book at La Villa de Soledad B&B. They are all good, and they will help you have a memorable experience while in Honduras. Oh, and if you are wondering about whether it is safe or not at the Cangrejal River Valley, we sleep with our doors unlocked! We have lived here for 7 years and never had a problem. Neither have our neighbors. So what are you waiting for? Go ahead and book your rooms with us!